The airline industry is facing a level of risk 'we cannot even calculate' because of the partial government shutdown, unions representing air traffic controllers, flight attendants and pilots said in a statement Wednesday. "We have a growing concern for the safety and security of our members, our airlines, and the traveling public due to the government shutdown," the presidents of the National Air Traffic Controllers Association, Air Line Pilots Association, and Association of Flight Attendants said. They added, "In our risk averse industry, we cannot even calculate the level of risk currently at play, nor predict the point at which the entire system will break. It is unprecedented." The shutdown, already the longest in history, reached its 34th day on Thursday. About 800,000 federal workers are furloughed or working without pay. Of those, nearly 50,000 are airport security workers who are considered "essential" and thus are working unpaid. President Donald Trump said he won't reopen the government unless he is given $5.7 billion in funding for a wall along the U.S. southern border, which Democrats have refused to do, comparing his tactics to holding the government hostage over his demands. 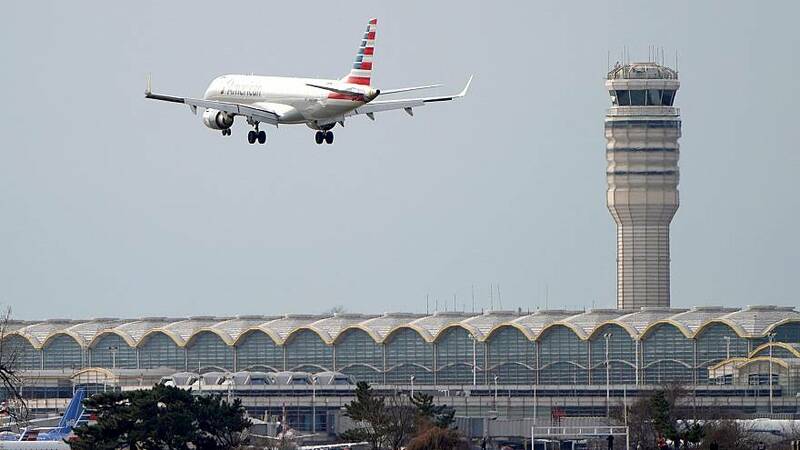 The union leaders said air traffic controllers, Transportation Security Administration officers, safety inspectors, air marshals, and federal law enforcement officials have been working without pay for more than a month. As the shutdown has dragged on, an increasing number of TSA workers have called out sick. "Staffing in our air traffic control facilities is already at a 30-year low and controllers are only able to maintain the system's efficiency and capacity by working overtime, including 10-hour days and 6-day workweeks at many of our nation's busiest facilities," the union leaders said. "Due to the shutdown, the FAA has frozen hiring and shuttered its training academy, so there is no plan in effect to fill the FAA's critical staffing need." "The situation is changing at a rapid pace," they continued. "Major airports are already seeing security checkpoint closures, with many more potentially to follow. Safety inspectors and federal cyber security staff are not back on the job at pre-shutdown levels, and those not on furlough are working without pay." The union leaders said they "find it unconscionable" to ask their members to work without pay. "To avoid disruption to our aviation system, we urge Congress and the White House to take all necessary steps to end this shutdown immediately," they wrote. The Federal Aviation Administration responded to the unions' concerns in a statement. "The FAA continually reviews and analyzes the performance of the national airspace system to assess its safety and efficiency," an FAA spokesperson said. "We have not observed any appreciable difference in performance over the last several weeks compared to the same periods during the previous two years. We remain grateful to the air traffic controllers for their professional and dedication to their safety mission." The FAA said air travelers "can be assured that our nation's airspace system is safe."